Austin Mitchell kills it at Ironman Boulder, August 2016. Read more about him here. Happy New Year! We hope yours is fantastic and rewarding thus far! Are you looking for new ideas to get in shape for spring and summer 2017? Remember, as we love to say, summer bodies are made in the winter! Incorporate low-impact exercise that is gentle on your joints, a refreshing contrast to the high-impact intensity of skiing, snowboarding and mountaineering. At home with your Endless Pool, access a workout plan 24 hours a day and 365 days a year, regardless of the weather! Get stronger and build endurance while relieving pain and soreness and improving your quality of life. Running on terrain, heavy weightlifting and jogging on the treadmill all cause stress on your joints. Remove these barriers with the Endless Pool and build your aerobic endurance, flexibility and muscle tone. Boost weight loss for before the swimsuit season! With the Endless Pools Fitness Systems, you can run…swim…stretch…lift water weights…even do aquatic yoga and Pilates! 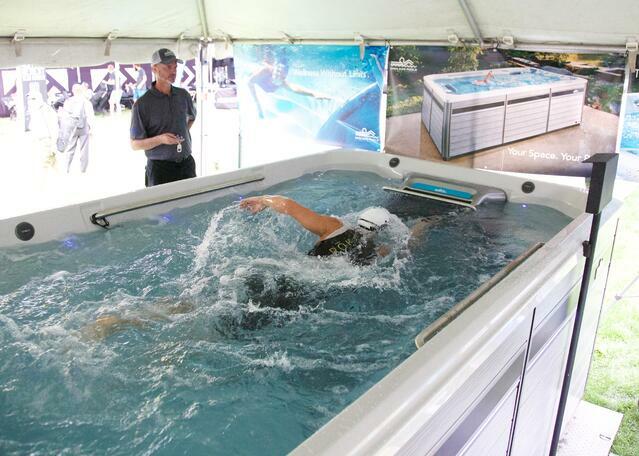 The underwater treadmill gives runners and swimmers a swim current to run against. Water offers a unique resistance to every move you make, building your strength! Listening to the sound of rushing water in your ears is sure to help you unwind after a long day, or give you a sense of peace as you gear up for the week ahead. Build your strength, stamina and flexibility with full body compound workouts. Plus the buoyancy reduces your weight by 90%, so you feel lightweight in water even if you are carrying extra weight. The Endless Pools offers a lifetime of fitness for any level of skill and intensity, tailored to meet all your needs. Don't wait any longer, for life is short and precious!